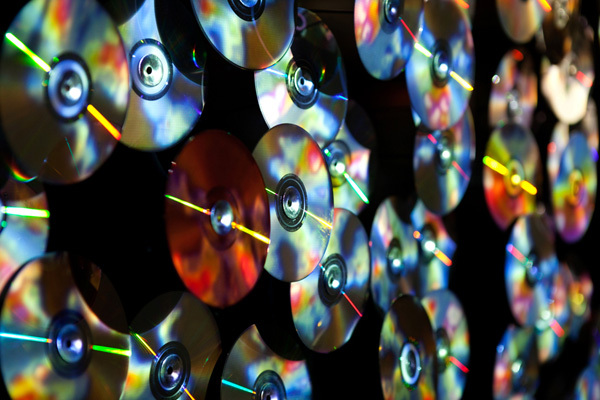 A sculptural video installation constructed from 360 used DVDs with the contents projected back on the surface. 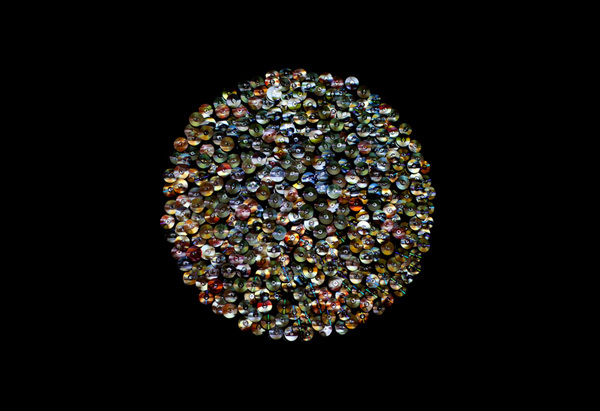 This multi-thematic piece was inspired by “sikka”, the gold coins sewn to clothing dating back to Babylonic times that eventually became the shiny plastic objects we know today as sequins. 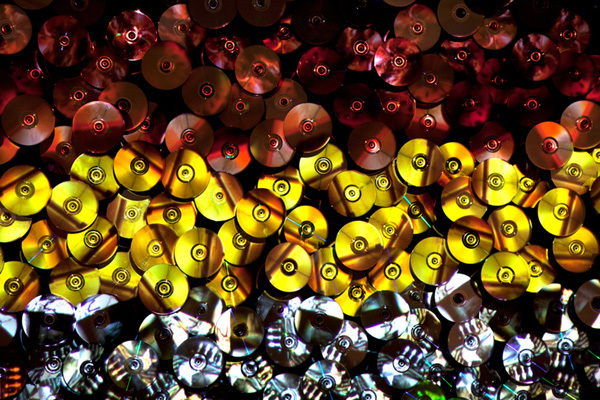 By projecting the contents of the DVDs back onto their surfaces the artist continues to investigate both new uses for discarded objects as well as his interest in combining the phantasmagorical properties of cinema with its physical elements. 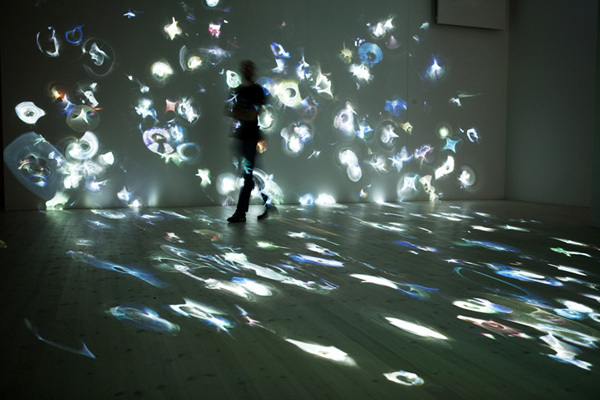 In this case, film segments were selected from each of the DVDs for their color, shape and movement value, forming a digital palette from which the final projected loops were constructed. 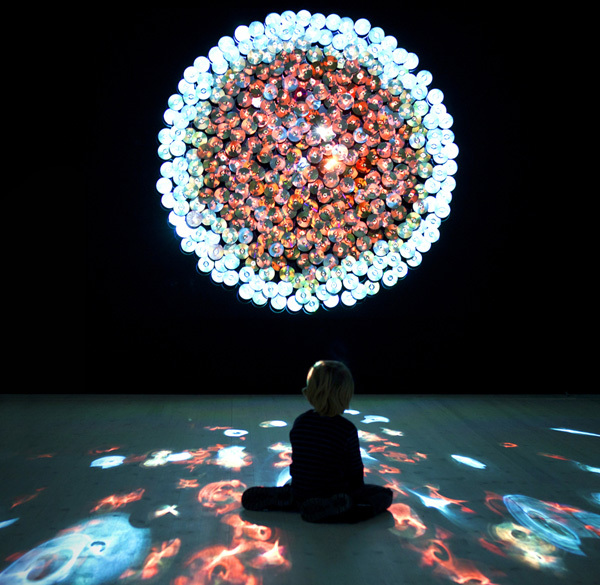 The accompanying self-generated soundtrack is the resulting “accidental composition” created by layering the soundtracks from the actual segments being projected. 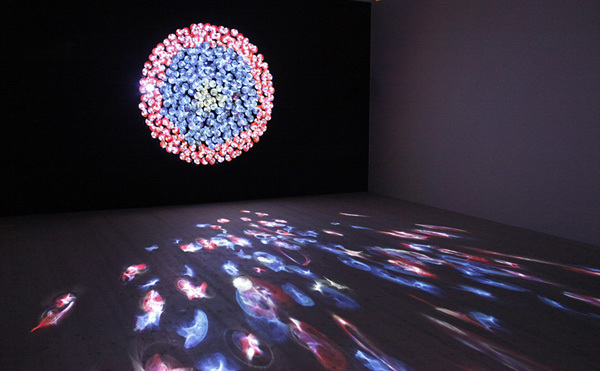 The final effect is that of an audio-visual mosaic.